A slightly different type of football magazine focusing on places you can visit to see a game and other sight-seeing that is available in the area. Something different and generally a good read. 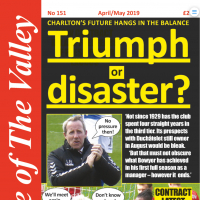 The current edition has got a 10 page spread on Charlton. It's good stuff, got loads of pictures and worth a look just to see if you've got your picture in it! Needless to say a picture of Airman is in it selling his mags! That should put people off. Must’ve been string-vest washing day? LOL! 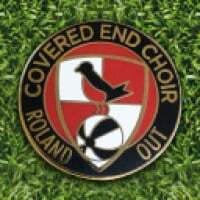 Should have made clearer most of it is about the football club and the Valley, not the surrounding areas! focusing on places you can visit to see a game and other sight-seeing that is available in the area. Erm....the IKEA when it opens, McDonalds in Woolwich. Where can the museum get a copy?